Music is a significant part of every culture, tradition, religion, etc. Feelings are magnified when expressed through music. 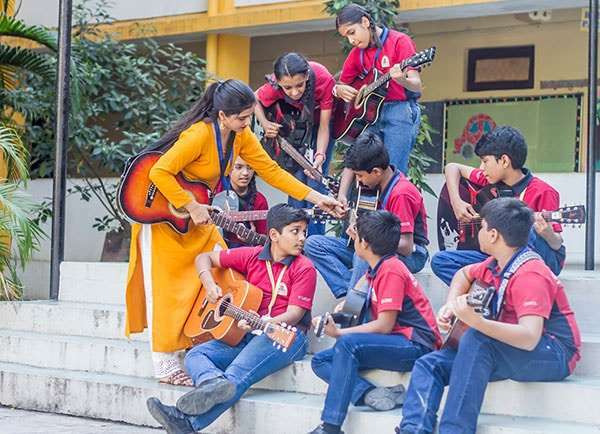 In collaboration with Furtados School of Music, ORCHIDS has introduced a curriculum that provides children with an opportunity to learn and play musical instruments, and express thoughts in a creative and artistic way. Our music course aligns very closely with the Trinity College London Theory of Music curriculum. It focuses on the basic rudiments in western music theory and journeys over detailed elements in rhythm, harmony, pitch, progression, composition, orchestration, and more. We have introduced Music History and Music Appreciation wish aids in understanding music intellectually and also expose the student to different styles and eras of music. Music history, music theory and analysis, music appreciation, vocal and choral skills, composition skills and world music. Mainly vocals and percussion instruments. International Performers Curriculum (IPC) : This curriculum is for Secondary Classes. This is a performance-based curriculum focusing on instrument learning skills using internationally acclaimed methodology. 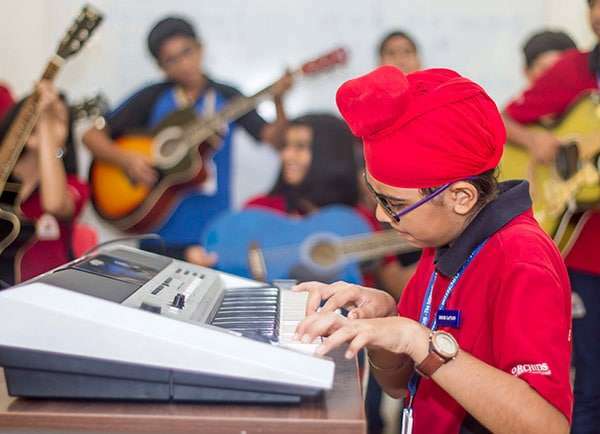 This gives students of all ages the opportunity to learn in a classroom environment, piano and performance skills, music theory and appreciation, music history and world music. 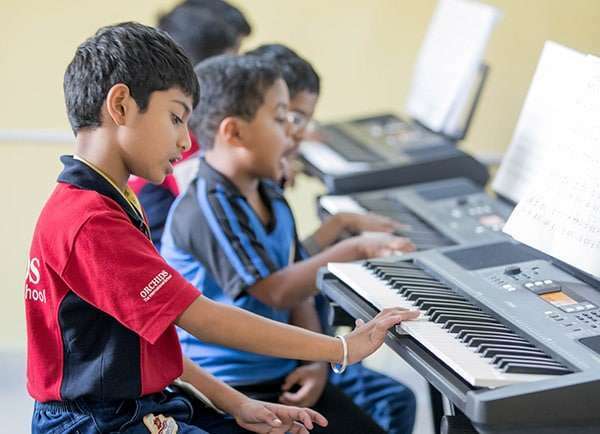 Students will be given the opportunity to progress further by taking performance examinations, individual instrumental lessons and participate in our numerous concerts and recitals. 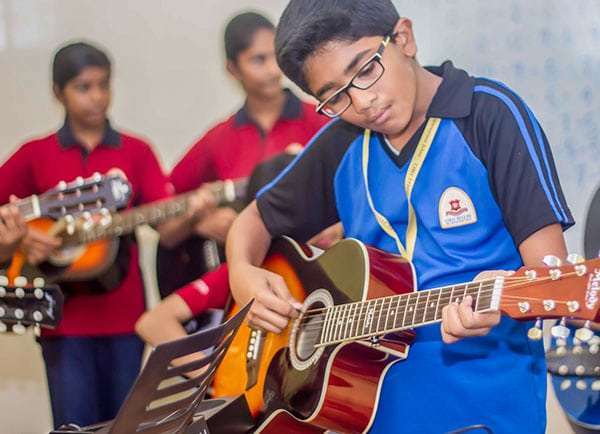 This unique curriculum includes performance skills, music history, music theory and analysis, music appreciation, vocal and choral skills, composition skills and world music. Based on the interest and inclination of the students we also prepare students for globally accredited examination boards including Trinity College, London.